Do you believe a family member has been abused or neglected in a nearby Georgia nursing home? Acting quickly could save your loved one from further pain and suffering. To get you started, we’ve provided you with the most up-to date information on nursing home abuse, which you can access for free at any time on the Schenk Smith website. Alternatively, you can call us at any time, day or night. Nursing home abuse and neglect are far more common than most Albany, GA residents realize. Abuse could include inflicting emotional distress or physical pain upon an older individual, while neglect entails a complete disregard for a resident, such as forgetting to provide regular meals, or failing to turn your loved one in their bed, which could lead to bedsores. You can find more information about neglect and abuse on our website. Should I Sue the Nursing Home That Hurt My Loved One? If you believe your loved one was abused or neglected by nursing home staff, you can and should take steps to gather information and confirm your suspicions. 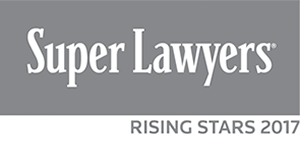 A capable law firm has the resources required to help you accomplish this. Once your suspicions are confirmed, and your attorney believes you have a case, then the answer is yes, you should indeed consider suing the nursing home that hurt your loved one. There are many reasons for this. First, your loved one deserves a just outcome. Second, any settlement money may be necessary for health costs due to the neglect/abuse, as well as moving your loved one into a better facility. Finally, suing may ensure that the nursing home changes its ways, which can stop more abuse from occurring to other residents. Can the Nursing Home Staff Do Jail Time? Absolutely. Under certain circumstances, both nurses and nursing home administrators can face criminal charges and even jail time. This is true for both abuse and neglect. For example, a staff member who is found guilty of assaulting or stealing from a resident could certainly be held accountable for his or her actions. Their position at the nursing home does not protect them from serving time. In addition to physical abuse, there is also the possibility of criminal negligence, which is defined as a complete and utter disregard for the safety and care of another individual. That, too, can lead to jail time, for one or more staff members at the nursing home. Are you concerned that your loved one is being abused or neglected? If so, it may be time to hire a law firm and help them get the justice they deserve. And when it comes to an experienced and trustworthy nursing home abuse law firm, Albany residents should think Schenk Smith LLC. With over 100 cases settled or taken to trial and millions of dollars won for our clients since 2013, we continue to be one of Georgia’s most sought after nursing home abuse law firms. 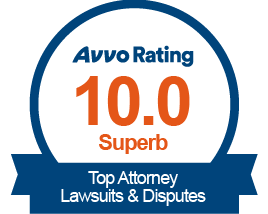 In fact, Georgia residents have named us the best nursing home abuse law firm based on Google reviews. So whether you live near Albany Civic Center, Thronateeska Heritage Center, or the Albany Theater, don’t hesitate to get in touch. We’ve got your back. Nursing Home Abuse & Neglect in Albany, Georgia- What you need to know. Albany, Georgia is located in Dougherty County and has a population of 75,657 residents. Of those, 12.5% are aged 65 and older. It is our mission to help Georgia families protect Albany’s elderly community, no matter how tough the case may be. What Are Some of the Signs of Abuse? Abuse takes on many forms, and nursing home staff may be highly effective at covering their tracks. However, if a family is diligent, they can spot signs of abuse before it causes irreparable harm or even death to your loved one. Physical abuse often takes the form of bruising, cuts and lacerations. This damage may not be readily visible, so from time to time, we recommend a more thorough check to err on the side of caution. You may also want to be on the lookout for flinching or pulling away when you touch your family member. This negative response to touch could be a hint that your loved one has been physically abused or even assaulted during their time at the nursing home. What may surprise many families is that not all abuse is physical. Theft is a form of elder abuse. And nursing home staff may be psychologically abusive as well, creating a stressful environment that can quickly lead your loved one to depression. That’s why it’s so important for families to focus on the mood of their loved one. If mood suddenly changes (fewer smiles, empty stares, refusal to speak) then abuse may be playing a role. What Injuries Are the Most Likely to Occur? Nursing homes are required by law to create a safe and secure living environment for the people in their charge. Those laws, however, cannot guarantee that a nursing home will comply with them. Nor do they completely eliminate accidents, which routinely take place in high risk elderly communities. Broken bones and bruises from falling: It can be very hard to stop falls from happening in a nursing home. And for elderly individuals, they can be incredibly dangerous. A few bruises would be a good outcome. A more likely outcome could be a broken hip, trauma to the skull, cracked ribs or worse. Bedsores: Bedsores are injuries that occur when your loved one is unable to turn themselves in bed. If they remain in a position for too long, pressure ulcers can form, lead to open wounds that can quickly become infected. Severe infections: The elderly are susceptible to infections in a way that healthy adults are not. A simple cut could lead to an infection that could kill a loved one if nursing staff does not take the proper steps right away. Many other injuries may occur, all of which need to be immediately assessed and cared for by nursing staff. Many times, a resident will simply not get the care they need fast enough, which can have deadly consequences. If you believe your loved one has suffered from one of the injuries above, and nursing staff did not take the steps necessary to fix it, then do not hesitate to call Schenk Smith. What Makes Abuse so Common? A desperate nursing shortage: Simply put, there are not enough trained nurses in the United States today. This has forced many nursing homes to the brink of collapse, as there simply isn’t enough staff to care for the growing number of elderly individuals in their care. Some nurses become so overworked that they cut corners or even neglect nursing home residents. Under the worst case scenario, this can lead to the unnecessary death of an elder resident. Predatory behavior of nurses: In part because nursing homes are in such dire need of nurses, the vetting and interviewing of potential staff is not what it used to be. This allows predatory individuals to take jobs at nursing homes, where they have opportunities daily to abuse individuals who cannot protect themselves. Costs of healthcare facilities: As the cost of drugs and medical supplies continue to rise, it is all but certain that nursing homes will face cuts to services offered, making them woefully unprepared to protect the elderly in their care. These cuts almost certainly lead to neglect by nursing staff, in part because they do not have the resources required to manage the sheer number of residents and their varied health issues. My loved one was hurt in an Albany nursing home- What do I do next? If your loved one was severely injured or passed away at an Albany, Georgia nursing home, then we recommend you act as soon as possible to protect your loved one’s rights. The Georgia Department of Community Health regulates nursing homes within Georgia state limits. To assist with these matters, the DCH relies on a regulatory body known as the Healthcare Facility Regulation, or HFR, to assess these nursing homes and review them for abusive or neglectful practices. The Georgia Office of the Long-Term Care Ombudsman is a state-run organization which mediates disputes between families and nursing home facilities. The Ombudsman program has authorization to enter private nursing home facilities to ensure compliance with state and federal regulations. If nursing home staff assaulted a family member or loved one, you have every right to file criminal charges against them. Complaints may be filed with the local police, local Sheriff Department, or the DA’s office. For abuse occurring in an Albany, Georgia nursing home, report the crime to the City of Albany Police Department or to the Dougherty County Sheriff. Your loved one may not be safe in their current residence. Therefore, you may want to pursue other living arrangements for them as soon as possible to avoid further abuse and neglect. There are many options available to you to help you locate a nearby nursing home facility for your loved one. We at Schenk Smith highly recommend Medicare.gov’s Nursing Home Compare Website. Click here to go to the Nursing Home Compare Website. The Nursing Home Compare tool lets you compare nursing homes in the Albany area. The tool ranks nursing homes based on staffing, health inspections, and overall quality of the facility. Scores are easily assessed with a 5-star rating system. For your convenience, a list of all nursing homes located within Albany, Georgia is located below, along with their contact information and inspection scores. If a nursing home has kept the abuse or neglect of your loved one hidden from you, chances are clues can be found in your loved one’s medical records. These medical records, therefore, could be the evidence we need to fight back and win your case. Obtaining these medical records may not be easy. The nursing home won’t be forthcoming with your family member’s medical file unless they are compelled to release it to you. And calls to local hospitals may be necessary to inquire about whether or not your loved one was brought in. In addition to these tasks, you may also have to secure guardianship over your loved one in the form of a power of attorney. Until that power of attorney is confirmed, it will be impossible for you to gain access to your loved one’s medical documentation. We understand this is a lot get done, which is why Schenk Smith offers free consultations to any Georgia resident who feels overwhelmed by the process. We’ve also provided a list of nearby hospitals below to help you make inquiries about recent visits by your loved one. We are terribly sorry to hear that your loved one has passed while in the care of a nearby Albany nursing home. If you have found yourself in this situation, and believe abuse or neglect may have played a role in your loved one’s death, then we highly recommend going to the local Dougherty County Probate Court to set up an estate under your loved one’s name. By setting up an estate, you are legally entitled to manage your loved one’s affairs after their death. As the administrator of the estate, one benefit you have is the right to file a lawsuit in the deceased’s name. By filing a lawsuit against the nursing home or nursing staff, you ensure that a just and fair outcome still comes out of this terrible tragedy. We want to help you find a new nursing home for your loved one as quickly as possible. This information is taken from our CMS’ Nursing Home Compare Website. At Schenk Smith, we treat our clients like family. If your loved one has been abused or neglected in a nursing home in nearby Albany, Georgia, then we will do everything in our power to see that justice is done. You and your family have already been through a lot. Making sure you get a just outcome is the least we can do. Deep ties to the community: We love Georgia and frequently travel across state to represent a client. 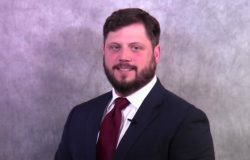 One of our attorneys, Will Smith, was a CNA in Georgia nursing homes for 10 years before becoming a lawyer and co-founding the firm. Continued education: We never stop learning. We are 100% dedicated to nursing home law and stay updated on all relevant cases and case history. Our attorneys attend and even lead continuing legal education seminars related to nursing home abuse. Educating Georgia families: Schenk Smith has a large library of educational videos posted for free on our website. We also host a podcast dedicated to stopping nursing home abuse. If your loved one was injured or died in a Albany, Georgia nursing home, please call us at Schenk Smith (678) 823-7678 for a free consultation. You can also check out hundreds of video FAQs on our website.